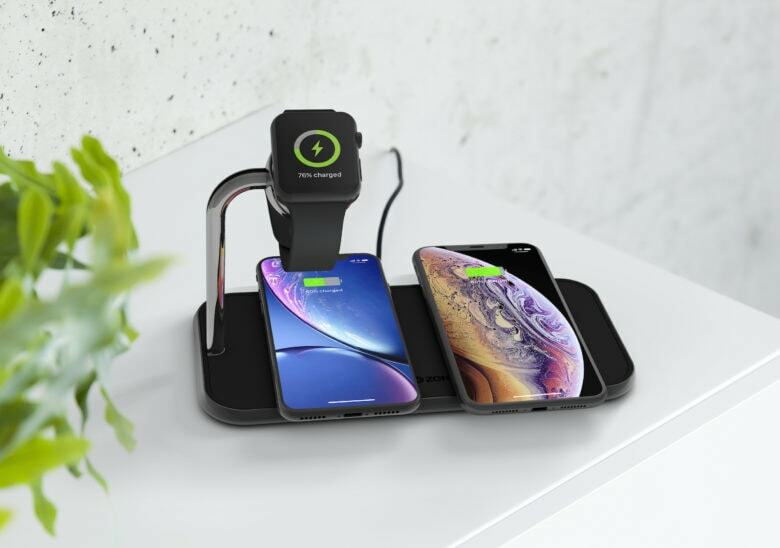 Made by respected Dutch company Zens — an expert in wireless charging — the Dual+Watch charging mat fast-charges two iPhones, plus your Apple Watch. And it’s available now from the Cult of Mac Watch Store. 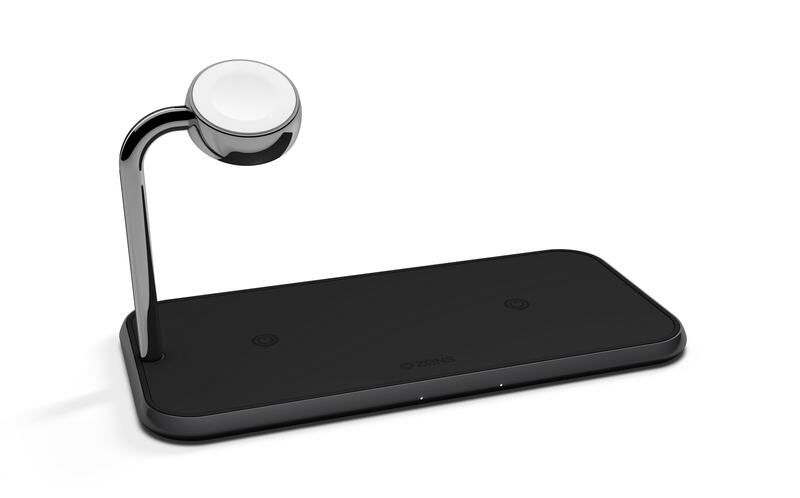 Zens’ Dual+Watch wireless charging mat is good-looking and well-built. Made from a single piece of high-grade aluminum, with a stainless steel arm for the Apple Watch, the Dual+Watch charger looks really good next to my bed. Solidly made, it sits tight on the nightstand. A non-slip rubbery covering prevents your iPhones from buzzing themselves off the mat when texts and alerts come in. Two subtle LEDs tell you when the iPhones are positioned correctly and charging, but won’t disturb your sleep. The Apple Watch charger is Apple MFi-certified and is compatible with the Series 0 through 4. Unlike a lot of third-party Apple Watch chargers, the charging module is built-in. You don’t have to supply your own cable. 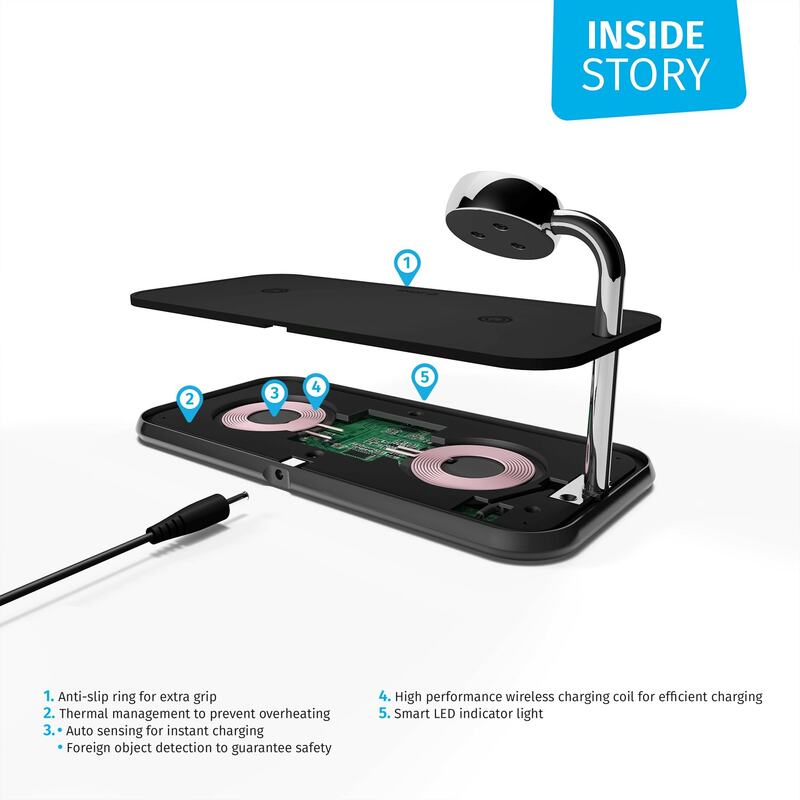 The Dual+Watch wireless charging mat is a handsome, well-made charging system. It’s perfect for the bedroom — or the living room, kitchen or office, for that matter. Zens offers a three-year extended warranty on the mat. The Dual+Watch costs $116 and is available from the Cult of Mac Watch Store (with free shipping to the United States and Europe). This exploded view of the Dual+Watch shows the charger’s dual charging coils and other internal components.